There are a few key search parameters young adults should consider. 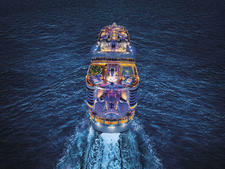 Shorter cruises of seven nights or less typically attract young couples and singles short on vacation time and budget. Look, too, for itineraries that are heavy on lively ports of call or incorporate overnight stays so that you can hit up the local nightlife. Expedition cruises, though pricy, can also be appealing for travelers looking for nonstop action -- hiking, snorkeling, kayaking and more -- in off-the-beaten-path wilderness regions like the Amazon or Galapagos. Look, too, for theme sailings, where a one-off niche itinerary might considerably skew the onboard demographic toward a younger cruiser. River cruise line AmaWaterways' wine-themed itineraries draw a good number of under-40s. Concert cruises and dance festivals like the Groove Cruise feature dozens of musicians on multiple stages and beach and pool parties to ensure young adult cruisers a pumping dance party all-sailing long. 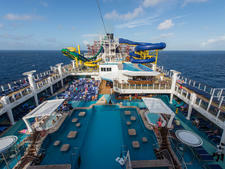 The Ships: Royal Caribbean's Oasis-class ships -- Symphony of the Seas, Harmony of the Seas, Oasis of the Seas and Allure of the Seas -- are particularly well suited to younger adults who demand a little more out of their vacation time than a simple poolside beach read. Test out your surfing skills on the FlowRider surf simulator, scale the 43-foot-high rock climbing wall, have a whirl skating on the indoor ice rink, sign up to get PADI certified for scuba diving, or zip along the zipline -- all onboard the ship. Plus, once you've burned off some steam, there's ample opportunity come nighttime for bar-hopping, catching Broadway shows (like "Grease," "Mamma Mia!" or "Cats") and busting out your dance moves in the late-night clubs. 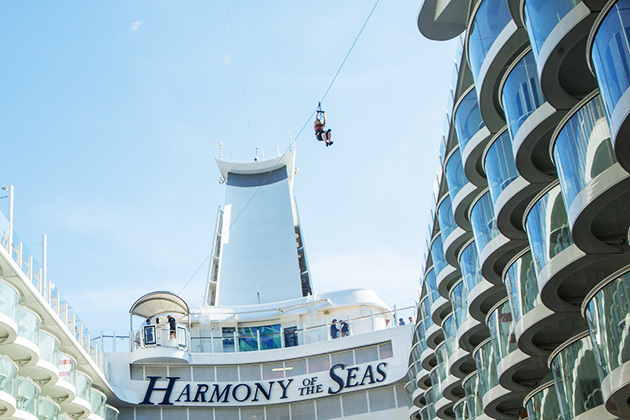 The Itineraries: Symphony of the Seas sails seven-night Eastern and Western Caribbean cruises from Miami, while Harmony of the Seas and Allure of the Seas sail Caribbean itineraries from Fort Lauderdale, Miami and Port Canaveral. Oasis of the Seas also sails the Caribbean from Port Canaveral, but in April 2019, it repositions to Europe for a season of Western Mediterranean cruises, after which is will return to Florida for Caribbean voyages out of Miami. 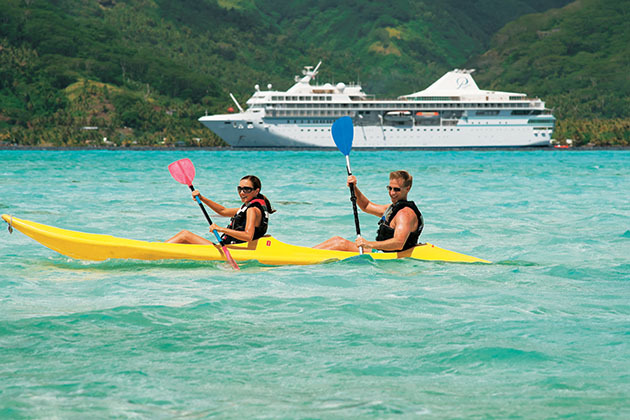 See more great cruises for active travelers. The Ships: Attracting one of the youngest demographics industrywide, Carnival's two dozen-plus "Fun Ships" come jam-packed with party-hearty diversions, including bountiful bars and lounges like the cocktail pharmacy-themed Alchemy Bar, helmed by master mixologists (available on select ships). The line pulls out all the stops for its lively open-air poolside deck parties, with live music paired with umbrella drinks. 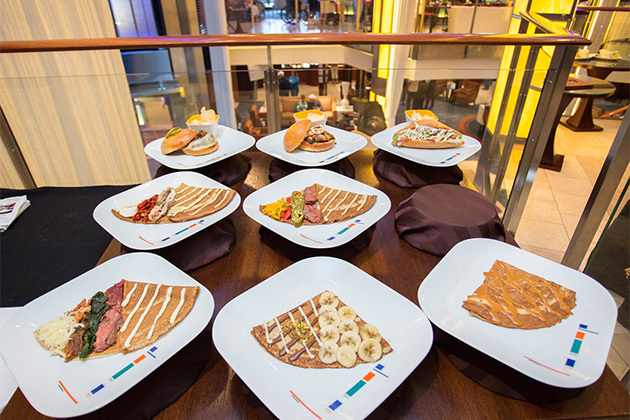 The line's latest ships, Carnival Vista and Carnival Horizon, also features the line's first-ever breweries, serving brewed-onboard craft beers. Plus, Carnival touts some of the best nightclubs at sea, thanks in large part to the line's relationship with DJ Irie (official DJ for the Miami Heat and a regular on the Vegas and South Beach club circuits), who is on hand to train all of Carnival's onboard DJs via Spin'iversity, the line's DJ academy at sea. The Itineraries: Sign up for a "Carnival LIVE Concert Series" cruise, featuring onboard, in-port performances; past acts have included Jennifer Hudson, Lady Antebellum, Daughtry, and Jewel. Carnival LIVE has also branched out into comedy, scheduling popular acts like Jim Gaffigan and Jeff Foxworthy. 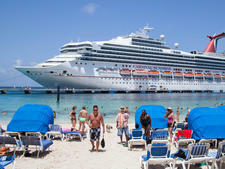 Also popular are shorter three- to four-night sailings (with less time and financial commitment involved) to the Bahamas, Baja California, Key West and Cozumel. Once in port, sign up for an array of adventurous excursions like ziplining, helicopter "flightseeing," kayaking, ATV riding and even bobsledding in Jamaica or helmet diving in the Caribbean (where you wear an underwater breathing apparatus that lets you walk along the ocean floor). 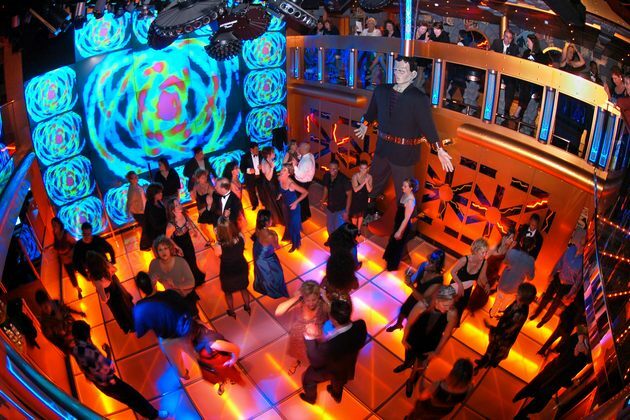 Find the craziest cruise ship parties. The Ships: Lindblad Expeditions' sailings are get-your-hands-dirty affairs, meaning that you can leave the formalwear at home and dive (sometimes quite literally) into the adventure-filled ports that the line sails to, including destinations in the Galapagos, Alaska and Baja, California. The expedition-style ships come equipped with a flotilla of Zodiacs and kayaks to easily get you onto remote terrain or out for open-water snorkeling, paddleboarding and boating. (Plus, everyone is issued a wetsuit and snorkeling gear for personal use during the course of their trip.) In sync with Lindblad Expeditions' partnership with National Geographic, you can expect to hobnob onboard with an enthusiastic staff of naturalists, oceanographers, photographers and more. The Itineraries: Lindblad Expeditions' sailings are priced at a premium, due to their expert staffing and complicated logistics, but their bucket list-minded clientele does skew younger on Galapagos sailings (especially during summer and holiday periods), Alaska (in July and August) and Baja sailings (particularly during the Christmas/New Year's break). 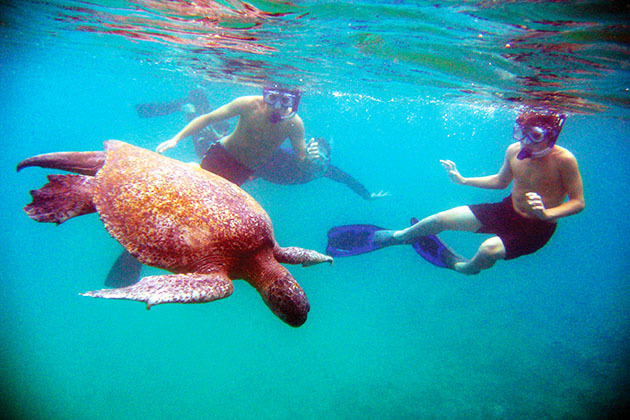 Active included-in-the-rates excursions are primed for in-shape 20- and 30-somethings and include snorkeling with hammerhead sharks in the Galapagos and kayaking the coastlines of the UNESCO-protected isles of Baja's Sea of Cortez. Lindblad's most active itinerary, "Wild Alaska Escape," features ramped-up activities like a three-hour bicycling trip around a glacial lake, half-day mountain hikes and point-to-point kayak trips in remote regions that use the ship as a floating base camp. Read up on the best cruise for nature lovers. The Ships: For young solo travelers cruising alone, or with friends with whom they'd rather not share sleeping quarters, forking over the dreaded "single supplement" fee (often applied to a single cruiser taking up a double-occupancy cabin) can put a damper on a vacation before it even begins. Happily, that's not the case with Norwegian, which pretty much pioneered solo-friendly cabins back with the launch of its supplement-free "studio" cabins aboard Norwegian Epic. 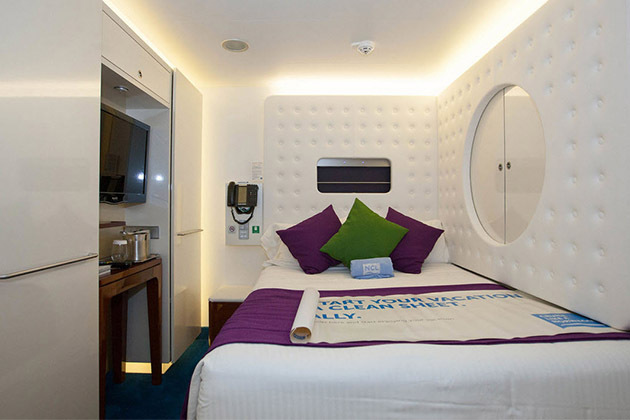 The hip single rooms have since been introduced on Norwegian Bliss, Norwegian Escape, Norwegian Breakaway and Norwegian Getaway. The sleek, 100-square-foot, designed-for-one cabins come with flat-screen TVs and modern mood lighting, along with access to a lounge that's exclusively reserved for studio-level passengers. All Norwegian's ships are additionally decked out with dozens of dining, drinking, activity and entertainment venues that are made for mingling. The Itineraries: Norwegian's Eastern and Western Caribbean, Bermuda and Bahamas voyages from Miami, Port Canaveral, New York and New Orleans are particularly well-suited to young solo travelers, thanks to snappy weeklong itineraries and embarkation/disembarkation ports in happening cities. Plus, passengers can sign up for memorable excursions, primed for meeting like-minded (and similarly aged) travelers, like riding an underwater scooter, cruising along on a beachfront Jeep safari, swimming with sea lions and more. West Coast travelers will also like weeklong Alaska and Mexico sailing on Norwegian Bliss. Read more about our top picks for solo travelers. The Ship: For young newlyweds in search of a honeymoon that wows, look no further than Paul Gauguin's splurge-worthy French Polynesia sailings. The line's 332-passenger Paul Gauguin touts a retractable water sports marina, inviting active types to set out windsurfing, kayaking, paddleboarding or even scuba diving. (PADI diving certification can also be obtained onboard.) Plus, most alcoholic drinks are included in the rates, as is a complimentary honeymoon package, which incorporates a special Polynesian blessing ceremony and in-room Champagne. The Itineraries: The line's only ship sails to French Polynesia, Fiji and the South Pacific, but it's Paul Gauguin's seven-night "Tahiti & the Society Islands" itinerary that attracts the most 20- and 30-somethings onboard. It offers overnight stays in several idyllic ports, including Bora Bora, Moorea and Papeete, Tahiti, so young couples can easily partake in island nightlife. Plus, expect plenty of time for lounging on private beaches with full-service bar setups and diversions like water sports and snorkeling, along with more active shore excursion options like swimming with sharks or ATV riding. These cruises are are favorites for honeymoons. The Ships: Of course Disney Cruise Line is well known for catering to kiddies, but parents are by no means left out thanks to ample onboard babysitting services and supervised kids clubs, as well as adult-exclusive entertainment (game shows, dance parties, comedy acts), restaurants and nightlife districts bursting with nightclubs and bars (like "The District" aboard Disney Dream or "Europa" on Disney Fantasy). 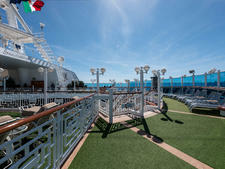 Plus, ships tout an adults-only pool area and sun deck, equipped with a poolside bar, cafe and Jacuzzis. Meanwhile, onboard spas are welcome havens for adult-friendly pampering. Kids will appreciate Dream enhancements like the Star Wars-themed Millennium Falcon play area in its kids' club and the Disney Infinity gameplay zone; Disney Wonder features a Marvel Super Hero Academy and an It's a Small World Nursery. The Itineraries: Disney's fleet of four ships sails to Europe, Mexico, the Bahamas, the Caribbean and Alaska. Sign up for active excursions like a beachfront camelback ride in Los Cabos, Mexico; surf lessons in San Juan, Puerto Rico; a volcanic hike in Santorini, Greece; and more. Or, simply stretch out on the adults-only beach, Serenity Bay, on Castaway Cay, the cruise line's private Bahamian island. 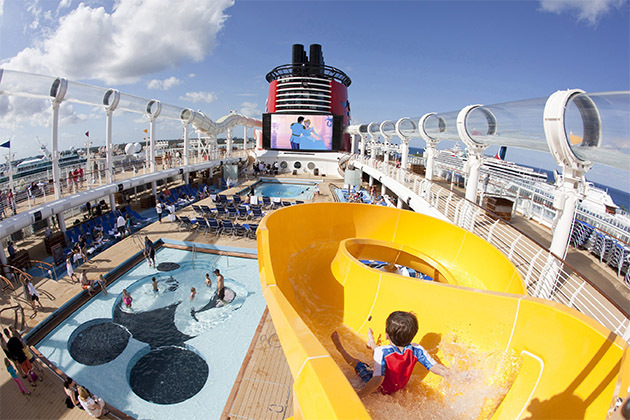 Find more amazing family cruises. Cruise Passenger Demographics: Who Will Be on My Cruise?